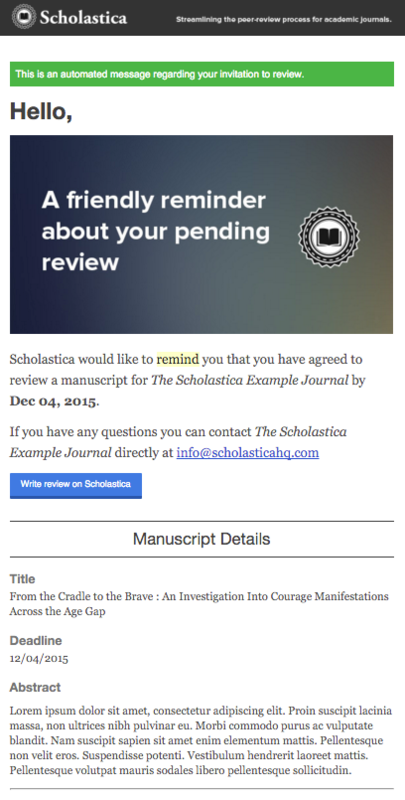 Scholastica | Can I send reviewer reminder emails? Until the invitation is accepted or declined, Scholastica re-sends the initial invitation email weekly, bi-weekly, or not at all depending on how you've set up your configuration options. 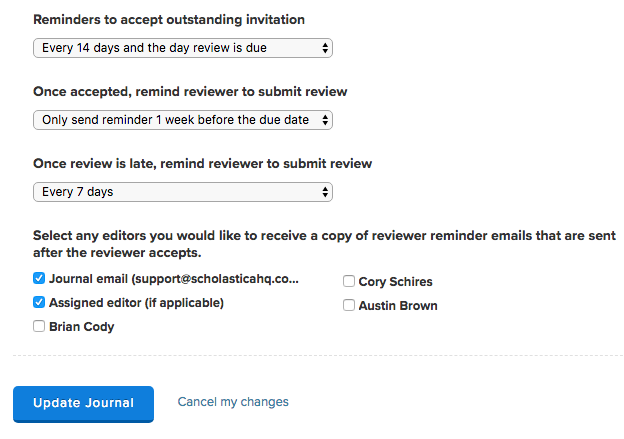 If the invitation is accepted, Scholastica sends weekly emails reminding the reviewer to submit the review. On the day the review is due, Scholastica sends a single reminder email. After the deadline has past, Scholastica sends weekly emails notifying the reviewer that their assignment is past due. Editors can manually send a reminder email at any time. The weekly reminder emails are reset by this, meaning the next one won't be sent until 7 days have passed since the manual reminder was sent. The journal account admin can disable reminder emails by visiting My Journals > Settings > Configuration Options.